We’re fans of floral, it’s the truth. Give us a dark and moody floral wallpaper for a small space or to create an accent wall in all day long! But to clarify -- we’re not in love with all floral. We have strong opinions and believe us, there’s a fine line between small prints that go towards prairie with a strong elderly vibe and those that speak modern beauty for a space. We are big fans of incorporating a natural element. 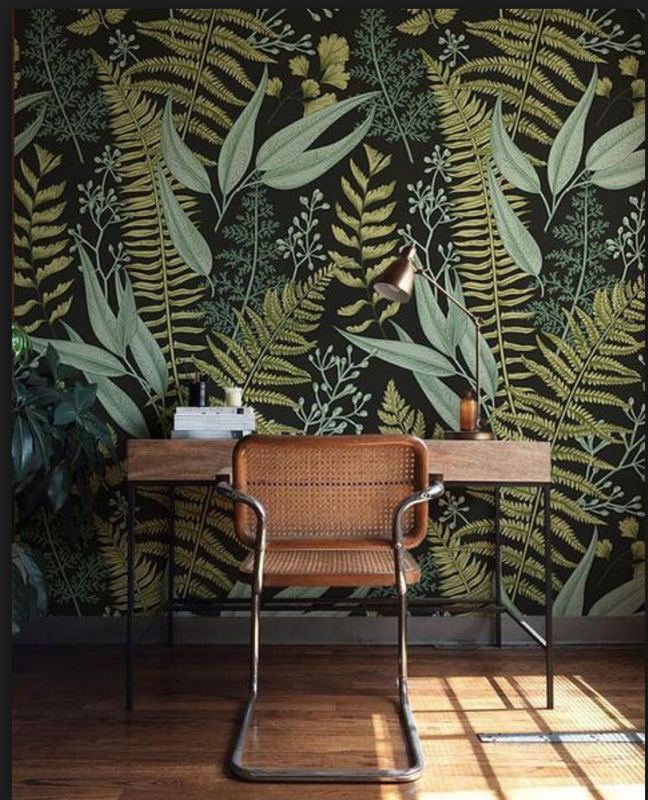 In some cases, this can come in the form of wallpaper — think moody florals or botanical patterns! Here’s our best tips for when to use and when not to use florals. The size of the print is the easiest way to balance it’s beauty. Small, tight floral patterns tend towards grandma -- run away! Take this Myers Park bathroom we designed and just love, it’s timeless and just a tiny bit funky. But if the print had been smaller, the vibe would be completely different -- dated and not our jam. We would design this space again anyday. While you might not think a small space is a good fit for a bit print, this bathroom proves the point. Surprisingly, windowless and tiny spaces are perfect for giant prints. The print creates cohesion and adds personality and interest. 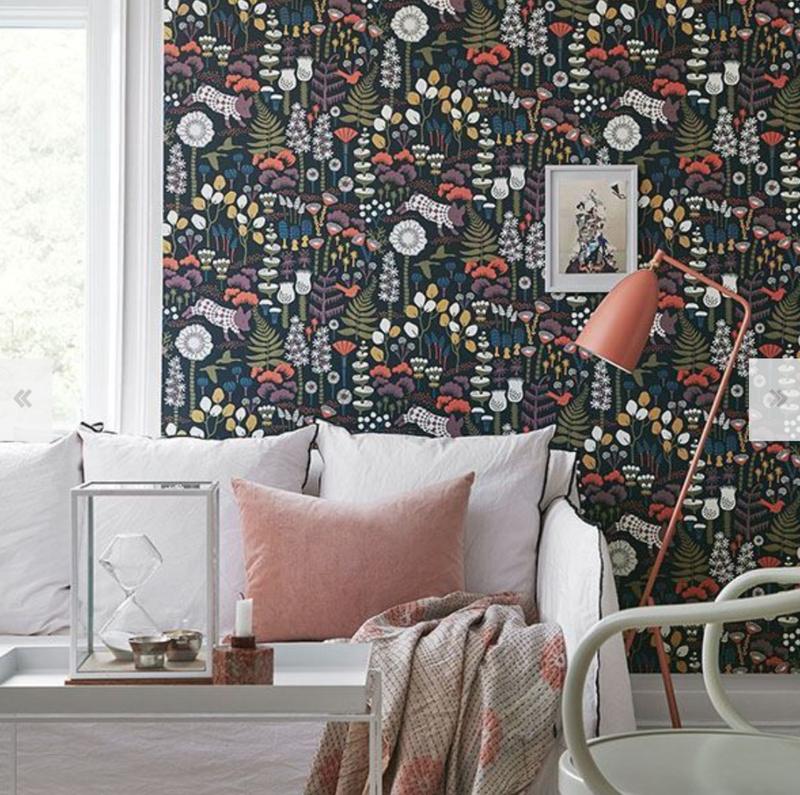 If it’s not a small space you’re tackling, you can try wallpaper prints as accent walls (headboards in a bedroom, anyone?) in a bedroom, office, nursery even a kitchen or entryway! The truth is, we are all about the botanicals and less about the florals. We love the organic feel of florals and fauna mixed together in prints. Palms, tropical flowers, even some classic animals -- the whimsical, unexpected vibe is our favorite. These prints are less stuffy and timeless. More botanicals less flowers is really where are designs are headed. These prints feel more like art, more like a painting and less like wallpaper. Another way to stay modern is to jump for an abstract pattern -- like these Merimekko prints. We’re in love! While not perfect for every space, they are perfect for the right space and won’t go out of style. A good trick if budget is a consideration is to use judges paneling. Instead of papering an entire room or wall, paper just a section of the room by using paneling! This makes a custom art look without the cost of the entire space. Note: make sure before you fall in love with a print, you have a professional come and estimate how much you will need! Several rolls may be in the plans! Good luck and happy papering!